I just wanted to thank you again for your beautifully crafted furniture for our house. It’s always an absolute pleasure to deal with you and wonderful to see your ‘artwork’ in our home. I look forward to speaking to you soon to add more pieces to our collection. Well worth every cent! Whilst moving to our new house we soon realised that our previous tv set up would not work. 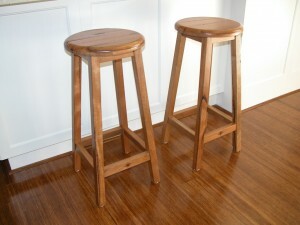 After looking around at various shops we were unsatisfied with variety, quality and price of the furniture we found. Then we found Gary at pque. Immediately, he grasped the concept of what we were looking for and together we designed a piece that fits perfectly in our family room. In the same time that it would take to order any of the substandard furniture we found, Gary had put together our custom made piece, constructed it from wood that held some significance to our circumstances (sourced from recycled material fromRob’s home state), and had set it up in our home. Amazingly, we paid a comparable price to what was being offered in the shops, yet the quality of workmanship, and sheer artistry set it apart from all else. 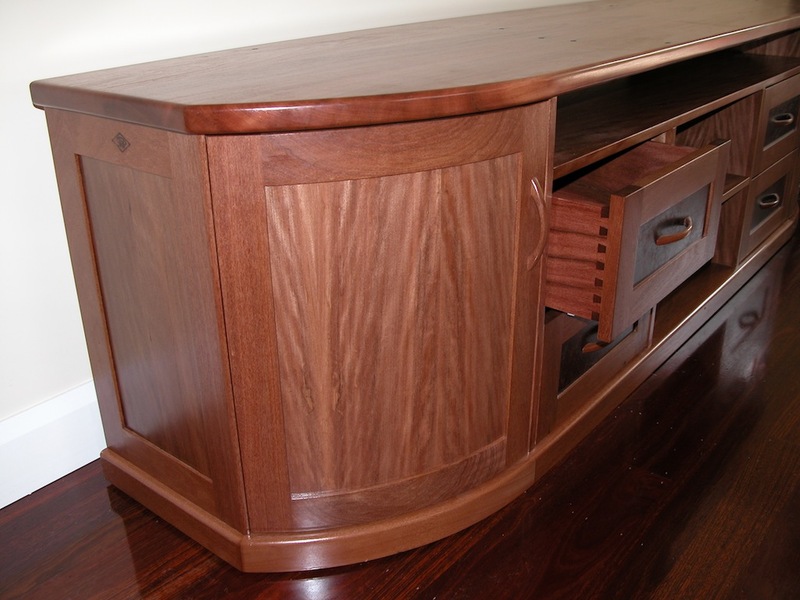 I have received many compliments over our entertainment unit, it is beautifully crafted, individual yet practical and timeless. I have no hesitations in recommending Gary. He is a pleasure to work with, is reliable and a true artist. The motto of building the antiques for tomorrow is true, our entertainment unit will long outlast us, and hopefully will be a piece of furniture to pass down to the next generation. 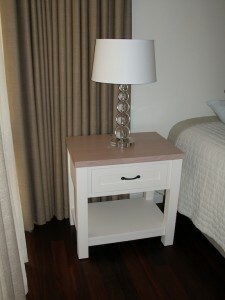 Thank you very much for working with me to get the look I was after with the bedside tables. I think the end product is a testament to your craftsmanship as well as your willingness to discuss the piece. As with your previous work, I appreciated the way you considered alternatives and offered suggestions. I’m looking forward to completion of the next piece of art.